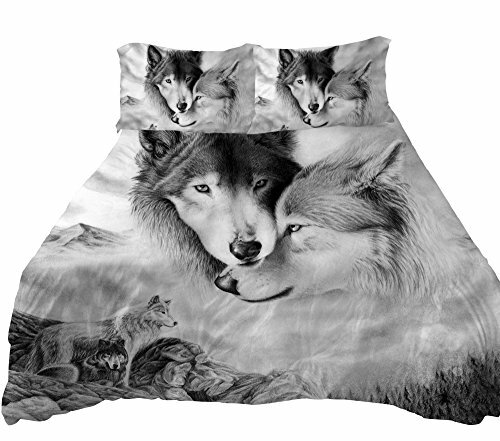 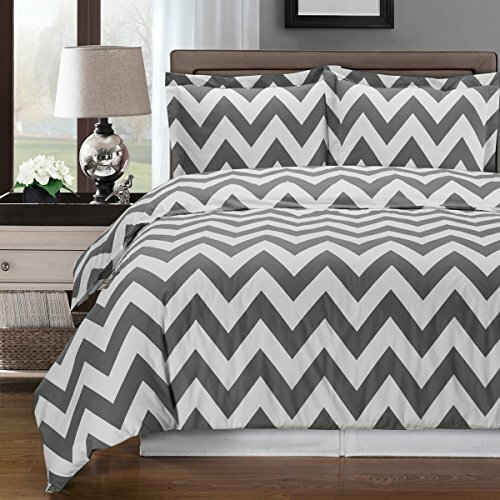 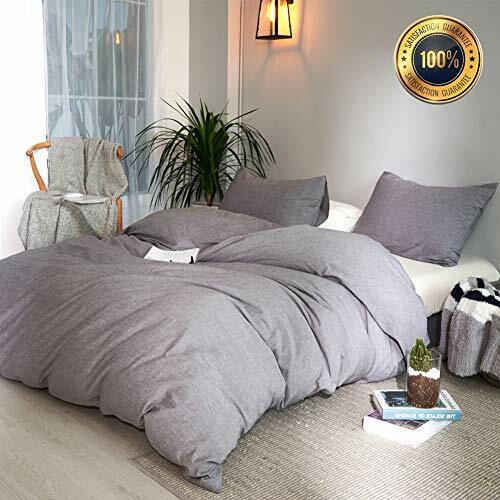 New (2) from $89.90 & FREE shipping. 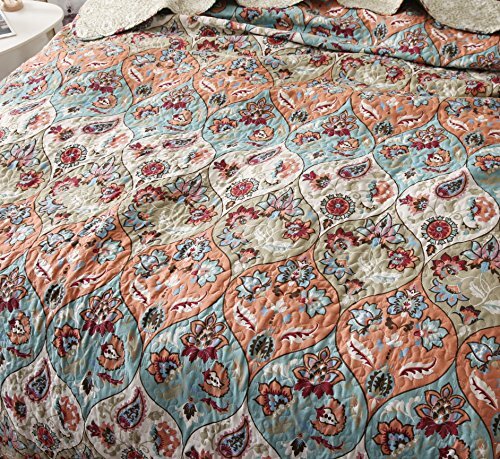 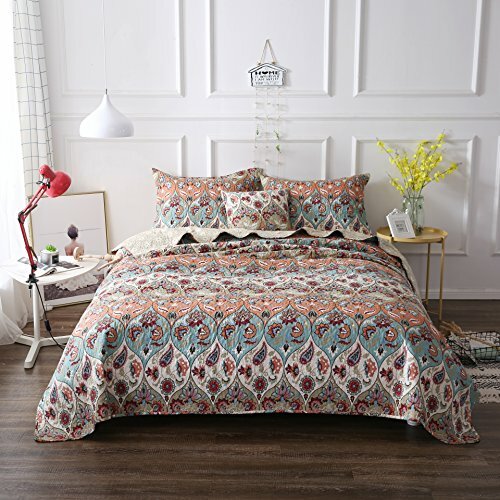 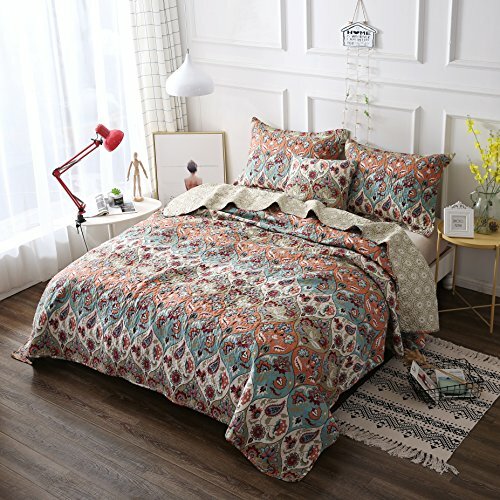 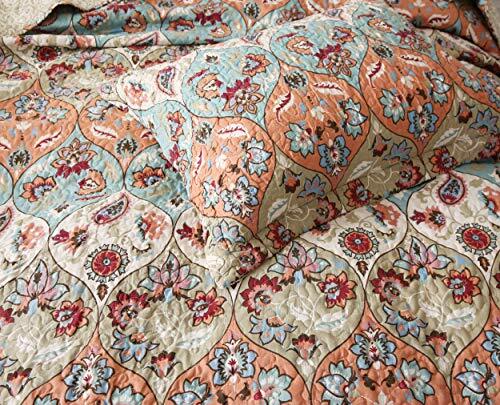 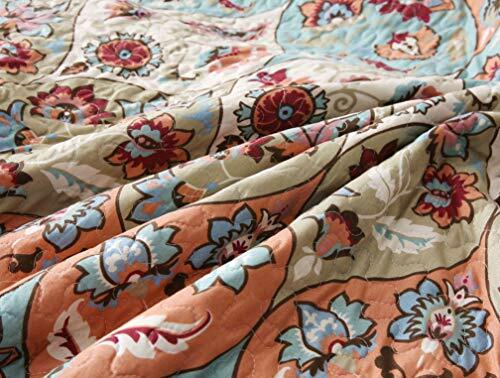 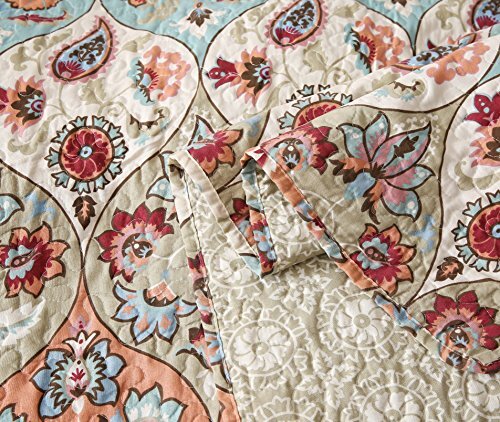 PolyesterImportedFeatures a bright and vibrant boho chic floral garden pattern all over the front side of the bedspread set - Adorned with varying colors of a peachy coral orange, light blue teal, tan beige, and red. 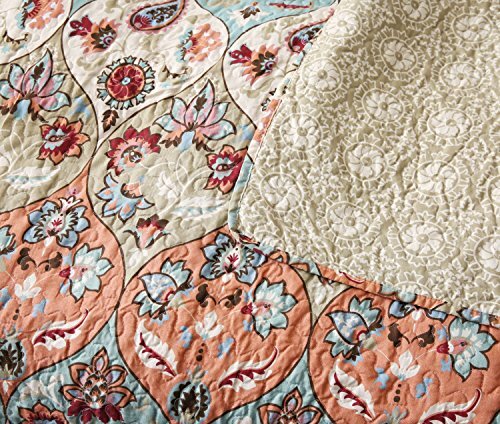 The backside of the bedspread is an all over white shade with floral vine designs in a grey tan shade.Goes along perfectly with our most popular throw blanket - Luxury Roses under ASIN: B01BLTREGG (paste into search bar)Included - Cal King Quilt: 102" W x 108" L & Two Piece King Sham Case - 20" x 36"Bedspread Material - 100% Polyester Face & 100% Polyester Back - Goes along perfectly with our most popular throw blanket.Washing Care Instructions - Machine Wash Cold, Do Not Bleach, Tumble Dry in Low Cycle & Remove Promptly.